Receive the latest celebrity news pictures personalised to your interests. A grandmother has spoken of her shock after she was viciously attacked and chased by a dog and good Samaritans stepped in to help her. 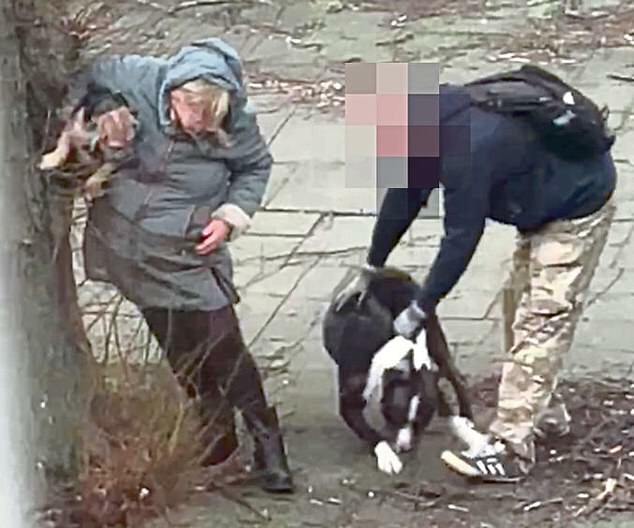 Alison Milne, 66, from Aberdeen, said she was walking her pet border terrier Brodie when a Staffordshire bull terrier cross-type dog pinned her to a tree, chased her and put her up against a wall. A man came to the mother-of-two’s aid and grabbed the dog – but it got free and Mrs Milne was helped by a driver who stopped her car and pulled her in. Mrs Milne suffered leg injuries where the dog scratched her and she was taken to hospital by ambulance days later due to stress brought on by the ordeal. Now recovering at home after the ordeal on December 15, she said: ‘I have never been so terrified. I don’t feel safe leaving the house now. 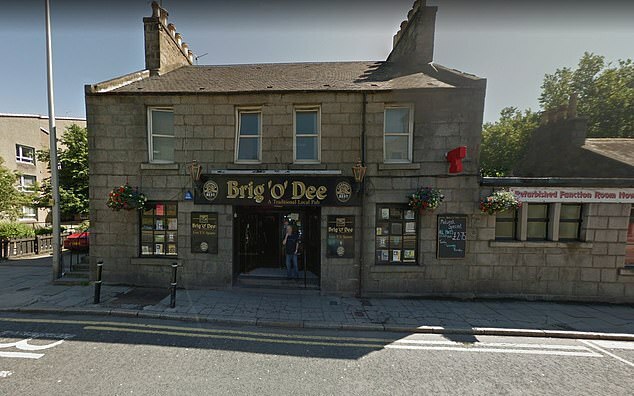 Mrs Milne, of the Bridge of Dee area of Aberdeen, reported the attack to police and Aberdeen City Council, which employs a dog warden, and both authorities are investigating. Her neighbour Annette Duncan said her son lives near the dog’s owner and is hesitant about taking his children out due to the animal. Mrs Duncan added: ‘The dog escapes from the owner’s house on numerous occasions and runs wild, chasing owners with their dogs. Mrs Milne said: ‘I was walking Brodie and the dog pinned me up against the tree. A man came to help. He said: “It’s not my dog, I’ll try to get him off”. ‘I was clutching Brodie close to me. I tried to get into the Brig o’ Dee Bar and the dog chased me and got me up against a fence. ‘God knows what would have happened if the woman had not got me into her car. She saved me,’ said the mother-of-two, a retired sales supervisor for Austin Reed.